For over 10 years she has built an enviable reputation and an impressive set list with something for everyone ranging from jazz, swing and pop & rock from the sixties, through to current pop hits – and everything in between! Catherine will tailor her performance and repertoire to suit any occasion. Whether you’re looking for an upbeat party atmosphere or for a romantic laid back mood, she can provide music to suit your requirements. Catherine is an ideal choice for a weddings whether it is to play at the ceremony, reception or through dinner she always picks just the right tunes to suit her audience . Perhaps you’d like a special song performed for walking down the aisle, or you’d like a romantic selection performed for a champagne reception. Catherine can liaise with you to make your special day even more memorable. She comes fully self -contained with electric piano and sound system or if you prefer she will play a grand or upright piano if available. 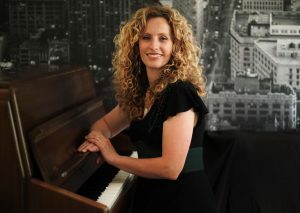 Catherine Ward is a musician and singer of the highest calibre who will add a touch of magic to any event.